The Department of State Security Service (SSS) has read the Riot act to all persons who are out to make merchandise of the Boko Haram insurgency through fake negotiations and subversive campaigns against the federal government. Deputy Director, Public Relations of the Service, Marilyn Ogar read the Riot Act in Abuja while parading seven suspects who collected about six million naira from government negotiators under the disguise of being members of Boko Haram. 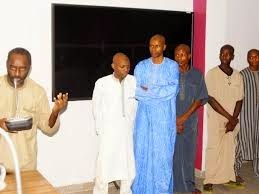 The service said the seven suspects are associates of an Australian self-styled negotiator, Steven Davis who purportedly indicted a former Chief of Army Staff and a former Governor of Borno state as sponsors of Boko Haram.